It was eight years ago tonight. The Los Angeles premiere of Dreamgirls. And while it seemed like all of Hollywood had turned out to catch the West Coast debut of this DreamWorks / Paramount co-production at Beverly Hills' Wilshire Theatre, only a select few were then invited back to Eddie Murphy's house for the after-premiere party. "And I was actually invited to that party. But I had to tell Mr. Eddie Murphy 'No.' 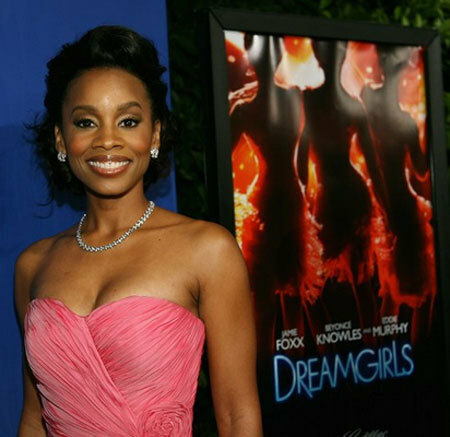 I couldn't go to his big fancy Hollywood party because I had an audition the next morning," Anika Noni Rose recalled during a recent phone interview. "And because I really needed to be in strong voice the following morning, I just went straight home after the LA premiere, pulled on some pajamas and then -- with the help of a few friends -- went over my lines for that audition." Now you'd think -- given that this Tony Award-winner (in 2004, Rose had taken home the Antoinette Perry Award for Best Featured Actress in a Musical for Caroline, or Change) was just getting her film career off the ground -- that Anika would be missing out on a primo opportunity to network with Hollywood's movers and shakers by blowing off that after-party. But then again, this was no ordinary project that Rose would be auditioning for. 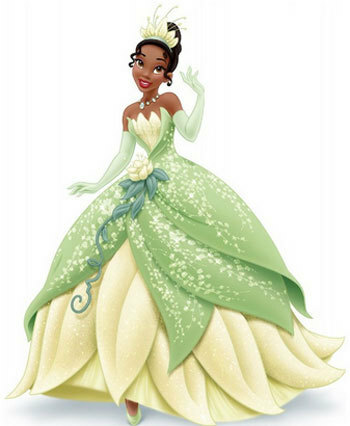 This was The Princess and the Frog, which would be the first-ever Walt Disney Animation Studios production to have a black female character as its lead protagonist. "And you have to understand that I grew up on Disney. That I knew all the songs from all the movies backwards and forwards," Anika explained. "Which is why -- when I went in for this audition -- I brought along all of my Disney sheet music. I then turned to Ron (Clements, the co-director of The Princess and the Frog) and John (Musker, co-director) and Peter (Del Vecho, the producer of this WDAS production) and asked them which song they wanted me to sing." And it was really smart of Rose to do all of this advance prep work. 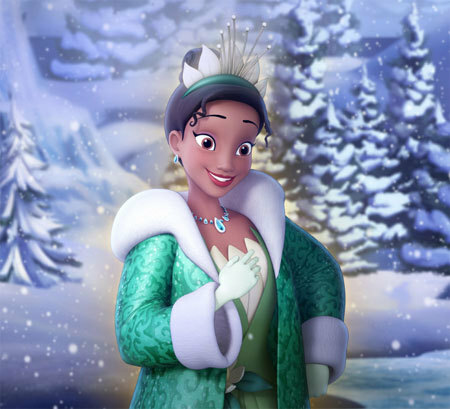 As casting director and audition coach Jen Rudin recounted in Confessions of a Casting Director (It Books, December 2013), many famous black stars wanted to voice Tiana. Alicia Keyes came in three separate times to audition for this role. Tyra Banks also made a run at this role. And Anika's Dreamgirls co-stars Jennifer Hudson and Beyoncé wanted to be the voice of Disney's first African-American princess as well (As for Ms. Knowles-Carter, Rudin said that this actress-singer acted a bit too entitled for her own good. "Beyoncé expected an offer (from Disney), but wouldn't audition and so she didn't get one"). As to why Ms. Rose finally won out in the end, to hear Jen talk, she eventually won the opportunity to voice Tiana because she "... was the most qualified." Though to hear Anika tell this story, she landed this part just because she impressed the directors and producer of The Princess and the Frog by the lengths Rose was actually willing to go to win this role. "I auditioned for Tiana three separate times over a four-month period. And my second audition was just crazy. I had flown out to Australia to work for one day in early 2007. And in order to be at Disney in time for my next audition for Tiana, I had to fly back to Los Angeles in a single day, learn a new song for the film as soon as the plane landed, and then go in and audition the very next morning," Anika remembered. "Which I know sounds kind of brutal. But I didn't care. I had wanted to be a voice in a Disney movie my entire life. I wasn't even aiming to be a princess. I would have been just as happy if they'd cast me as the voice of a bunny or a flower. But I was going to do whatever I had to in order to be part of The Princess and the Frog. " In the end, it was the combination of Rose's obvious talent and her strong work ethic that won over Musker, Clements and Del Vecho. And when they told Anika that she was now officially the voice of Tiana, she remembers bursting into tears. "I was just so thankful. I mean, getting to voice a character in a Disney film, this was a life-long dream of mine finally coming true. And to then have Tiana become this character who means so much to so many little girls around the world ... Well, that's a responsibility that I don't take lightly," Anika insisted. Which is why Ms. Rose was thrilled when Disney Television Animation reached out last year and asked her if she'd be willing to come reprise her Princess and the Frog character for their Emmy Award-winning Disney Junior show, Sofia the First. "I was -- of course -- already familiar with Sofia. And what I loved about what they did with Tiana's appearance on this TV show is that they showed the commonality between these two Disney characters. Sofia and Tiana both believe that if you're smart and strong, you can then accomplish great things in life," Anika enthused. "It was also nice -- after getting to sing all those great Randy Newman songs in the Princess and the Frog film -- that Tiana then got to add a new song to her repertoire by appearing in this Sofia the First episode." Mind you, this isn't the first time that Anika has reprised her Tiana vocal work over the past eight years. 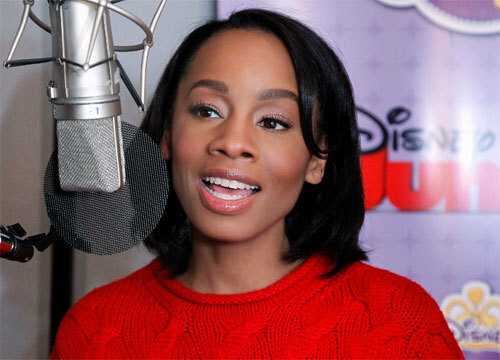 Rose previously voiced her Princess and the Frog character for several Disney-produced games, among them Kinect Disneyland Adventures. More to the point, she's ready to get behind a microphone whenever Mickey calls. "Seriously. I love being part of the Disney family. Did I mention that I'm the youngest person ever to be inducted as a Disney Legend? That's a huge honor that I take very, very seriously," Anika insisted. Which isn't to say that Rose takes herself all that seriously. Take -- for example -- this somewhat humbling story about an encounter that she had with a Princess and the Frog fan at Disneyland Park back in 2009. "I was at that theme park one afternoon to see 'Tiana's Showboat Jubilee.' Which is this show that Disneyland had built around all of the songs from that film. And as I was exiting New Orleans Square, I passed by this meet-n-greet area that they'd set up for the Tiana and Prince Naveen characters at the theme park. And as it turns out, they had just cut off the line for this meet-n-greet. So there was this mother there with her two or three year-old daughter. And the girl was obviously disappointed that she was now not going to get Princess Tiana. But then her Mom sees me and begins dragging her daughter over in my direction, loudly saying 'This is the woman who voiced Tiana. Wouldn't you like to meet her?' And this little girl takes one look at me and then screams 'NOOOO!,' " Anika laughed. 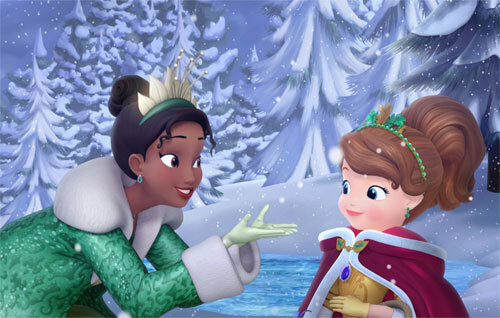 Though she may have been rejected by one pre-schooler, Rose is hoping that "Winter's Gift" (i.e., the Sofia the First episode that Princess Tiana appears in) will please lots of youngsters when it makes its Disney Channel debut tomorrow morning at 9 a.m. ET / PT.